Helbing Collection A-Z is a continuing feature of our blog. Each week for 26 weeks, I will highlight an item or items from our Helbing Collection of Native American Arts and Crafts. This wool blanket has a geometric design in red, black, white and gray. There is variation within the colors – especially the red and black due to the dying process. The black areas range from black to brown in tone. It is done in the typical Third Phase Chief’s blanket style and most likely made before 1880. It is wider than it is long. 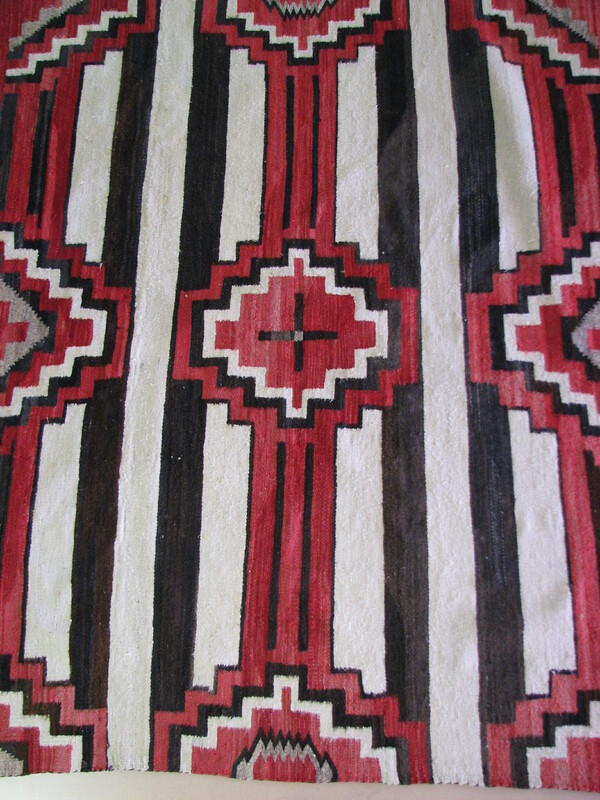 The chief blankets are the only Navajo weaving that is wider than long. 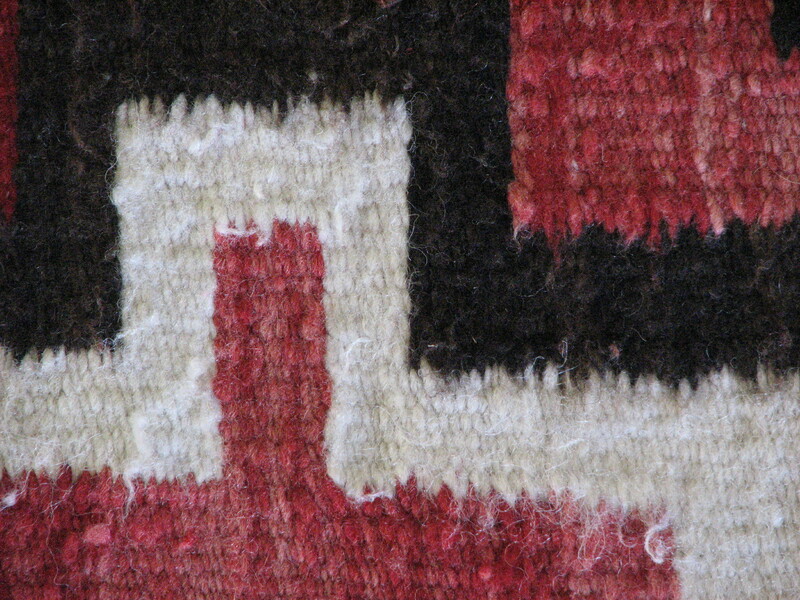 The term “chief’s blanket” is a little deceptive, as these textiles were not made for tribal leaders. Generally, these blankets were made by expert weavers using the finest materials available. As a result, each blanket commanded a high price. The name developed because only wealthy and successful individuals could afford to own one. This entry was posted in Collection Notes and tagged A-Z, Blanket, chief blanket, Cleora Helbing, Native America art, Navajo, Weaving. Bookmark the permalink.